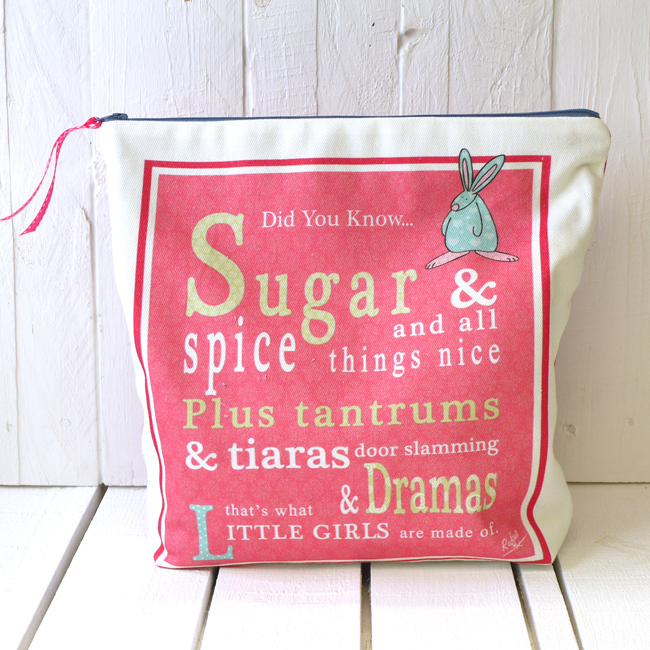 Did you know...Sugar & spice and all things nice. Plus tantrums and tiaras, door slamming and dramas. That;s what little girls are made of. 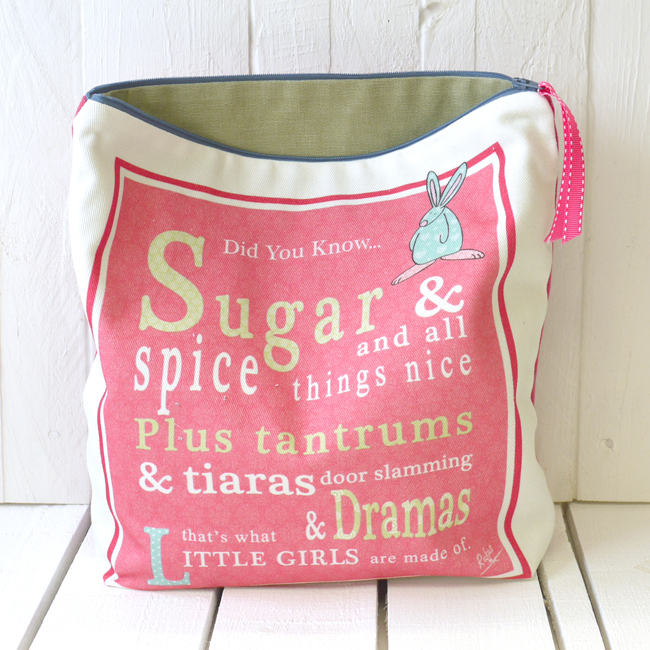 Our Rubie Rabbit sugar & spice wash bag is nicely sized to hold nappies, creams, wipes and other little being essentials. An original twist by designer Anna Danielle on an old nursery ditty attempts to bring some balance and light humour to the boys v’s girls debate. Printed in the UK and made right here at Bunny HQ. 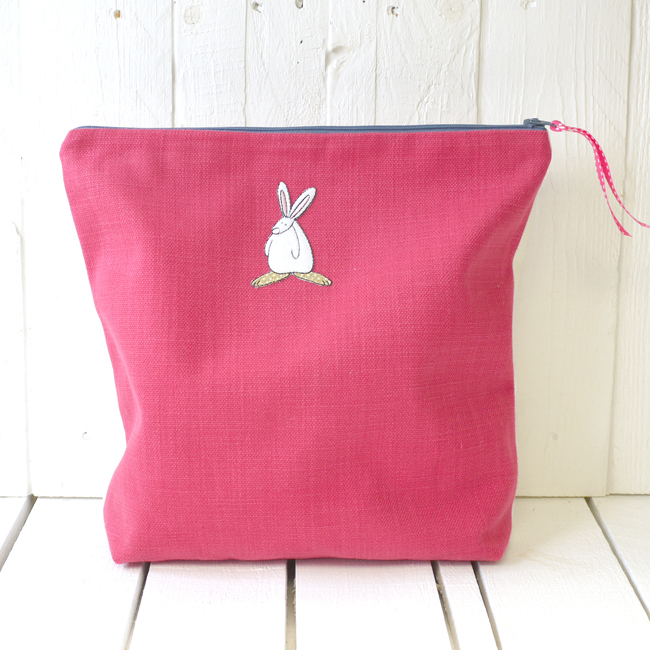 These wash bags are small in number and exclusive to our website. If you are looking for something unique and original, you might be in luck. However once they’ve gone, they’ve gone! Fully lined and machine washable. Reshape whilst damp. Whilst you are here, please feel free to read Rufus’ blogs on family life. This one might make you smile Say it gets easier. 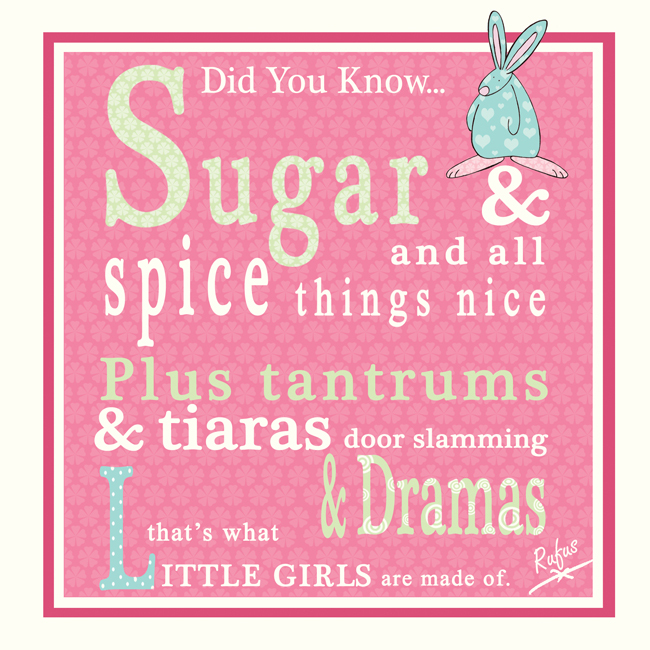 Did you know...sugar & spice and all things nice. Plus tantrums and tiaras door slamming and dramas. That's what little girls are made of.